200 Main, one of downtown EC’s many art galleries. From painting to music, from sidewalk sculptures to art galleries, hardly a corner of Eau Claire is untouched by art. Get to know your local artsy folks during the inaugural Creative Communities Gallery Walk from 4-8pm on Thursday, May 18, in downtown Eau Claire. As part of the statewide Creative Economy Week, 200 Main Gallery & Studios has banded together with neighboring art galleries including Tangled Up in Hue, Galaudet Gallery, Main Street Gallery, Janet Carson Gallery, L.E. Phillips Memorial Public Library Gallery, Oxbow Gallery Lounge, and the Volume One Gallery. What will you find during the Gallery Walk? 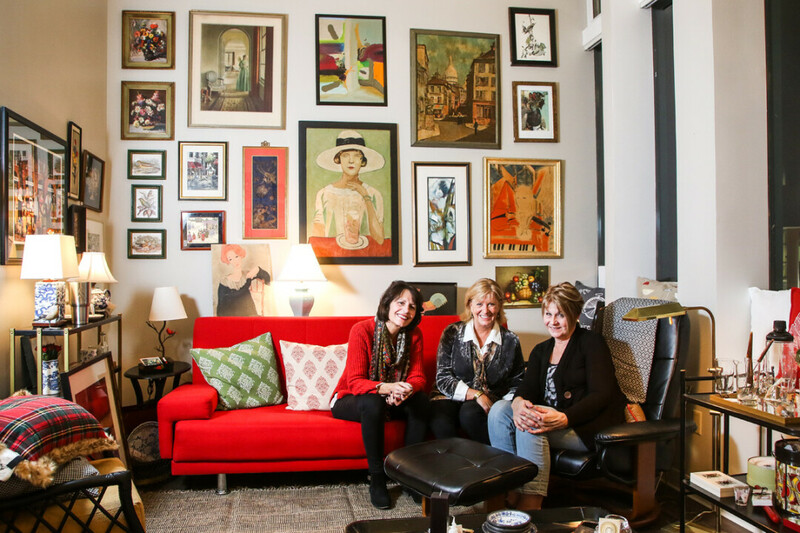 According to creator Jo Ellen Burke, one of the proprietors of 200 Main, “We have galleries featuring visual arts, music, and more. Tangled Up in Hue has become a beacon for art and a collective for gifts and varied art forms. Regular shows at the L.E. Phillips Library bring in local as well as international shows and juries.” She continues: “Our space at Graham and Main is the newest, and features local established and emerging artists, including painters, sculptors and woodworkers (Tim Brudnicki will be featured for this date). The Sculpture Tour has also become a beacon for people visiting downtown, and fills our streets with an ‘outdoor gallery’ feel.” The arts are vitally important to Eau Claire and to Burke as well. “We work hard to bring attention to the importance the arts play in our community – through music, theater, writing, and – in our ‘Walk’ – the visual arts,” Burke says. “We also strive to increase awareness that artists aren’t just creating as a hobby – this is vital to their livelihood and to the health of our entire community. The arts are the ‘soul’ of a community.” There is also talk of creating the Gallery Walk into a monthly event “celebrating with other venues downtown.” So put your walking shoes on, grab a friend, and get your art on during the Gallery Walk!